The “City in the Country” boasts a population of around 135,000 people. It sits, smack dab, in the middle of the Fraser Valley. Abbotsford also has an airport, which puts it firmly on the international map. Our Gorilla technicians carry out our Abbotsford Window Cleaning services at the airport, as well as many other commercial settings. 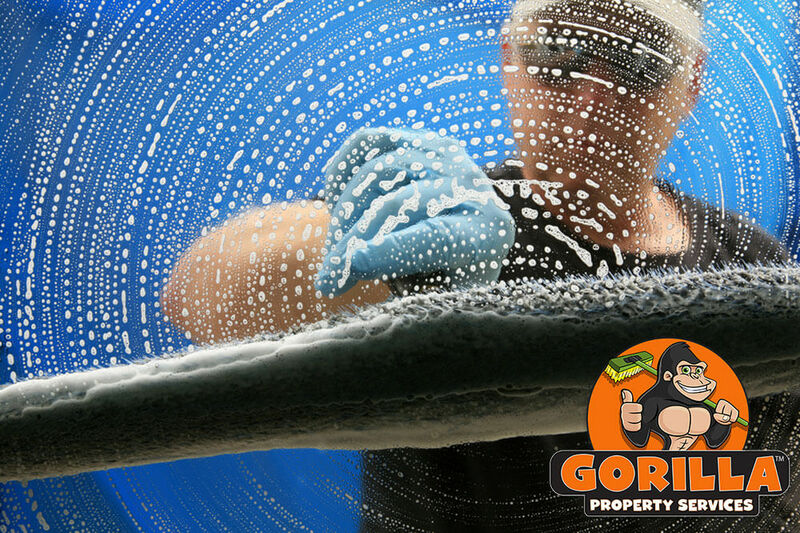 In the Spring, Summer and Fall, you may spot our technicians washing windows with the help of our ‘Gorilla Mobiles’, throughout the city centre. Our Gorillas can be seen around South Fraser Way, Maclure Road, the Old Lehman area, Sumas, Clearbrook and everywhere in between. Abbotsford Window Cleaning technicians love their involvement in maintaining property cleanliness all over the city. Our Gorilla technicians arrive, equipped with all of the latest tools of the trade. Among our fleet of vehicles, we have various Bucket Trucks, or Cherry Pickers. We like to call them ‘Gorilla Mobiles’. Reaching all windows or other areas that need to be cleaned is an easy task for our technicians. 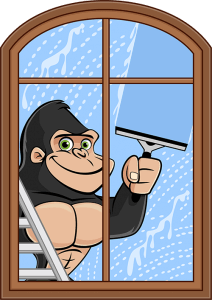 Our Abbotsford Window Washing Gorillas use only eco-friendly, biodegradable cleaning products at all times. We use rubber squeegees on glass to reduce static build-up and ensure a streak-free shine that lasts. And that’s not all. In addition, we carry WorksafeBC Compliance and all our work is fully insured with a $5 million C.G.L. Abbotsford is also home to the AHL hockey team. The Abbotsford Heat is a farm team for the Calgary Flames. Games bring the action, and are full of drive and excitement. When the Gorilla Property Services team take in a game at the Abbotsford Entertainment and Sports Centre; you might even see us keeping the glass along the boards crystal clear afterwards!